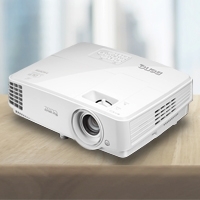 The MS500 makes the perfect projector choice for your everyday life - in business, education, even at home. Featuring an impressive brightness of 2500 ANSI lumens, a high contrast ratio of 4000:1 and a SVGA resolution, the MS500 offers a stunning full-screen presentation with the finest details regardless of the low ambient light level. A 2500 ANSI lumens projection lamp ensures great viewing even is location with low ambient light. 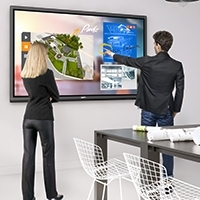 The MS500 is ideal for small-sized meeting room with under 25 people. 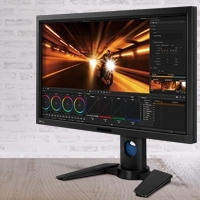 The MS500 boasts high contrast ratio with 4000:1. High contract ratios translate to razor-sharp detail definition and a broader range of subtle color differences, which makes text is sharper, cleaner, and easy to read. MS500 is equipped with 3D projection technology to bring you the same amazing 3D effects you get in 3D movies. 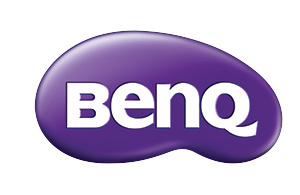 Offered for no added cost, the 3D feature on 3D-ready BenQ projectors get your audience for an immersive real-life experience. All you have to do is add the 3D glasses, content and video card along with the MS500. A magical expedition is just to begin! With built-in 2W speaker with the MS500, not only do you get the vivid visual performance, you get the same audio satisfaction, too!